Hi, I’m Marla Shore, owner of the Cut ‘N Dye hair salon in sunny Palm Haven, Florida. It amazes me that wherever I go, people ask me questions about their hair. I suppose doctors and lawyers and even writers get the same thing. Some of the problems that folks mention astound me. Like, what were they thinking? Here is a sample of everyday questions I get asked and my answers. Q: My natural hair color is brown, but I had highlighted it blonde. A few days ago, I re‑highlighted it and my whole head was blonde. So I dyed my hair one color, medium ash brown, and it turned my hair black. Do you have any suggestions? A: Your hair was porous due to the blond highlights. You're lucky; it could have turned green from the ash coloring. You'll need to have the dye professionally removed at your local salon, but be prepared; a color correction can be costly. Q: I could blow dry my curly hair and it will look great until I step outside to the humid weather. And then my hair that is 12 inches looks like it is 5 inches long and bushy. In this era of so many products, what can I spray or lather on? A: To avoid frizz from humidity, you can apply a leave‑in moisturizer; this will act as a barrier against moisture in the air. Or you can get an anti‑humectant product at the salon. Q: I used to straighten my hair years ago but I gave it up as I got older. It was either straight and gray or gray and curly. I opted for no gray. Using both treatments damaged my hair considerably and I gave the process up. But I would love to enjoy both. How can I go for the gold? A: Regarding hair treatments, you could straighten first, and then color. Q: My daughter has long natural blond hair, except now it has 4 inches of green tint from a friend’s pool. We used the Nexus Aloe Rid three times but it hasn't worked. Please help; she doesn't want to cut her hair or swim anymore. She is 15. A: Try Aveda Hair Detoxifier if the Nexus Aloe Rid didn't work. Blonds have more problems because their hair is so porous and absorbs chlorine. Prevention Advice: Wet the hair with fresh water before going into the pool and rinse it off with fresh water after the pool to remove chlorine right away. Or try applying leave-in conditioner to the hair before going into the pool. Then do a normal shampoo and rinse afterward with fresh water. Q: My natural hair color is medium brown and I have been getting it colored a dark blonde for the past ten years. I would like to have highlights and lowlights instead of all one color. What is the best way to get this look? I have heard good and bad things when it comes to using a cap verses foils. Do you think it will look okay? A: Have a professional stylist color your hair using medium brown. Then using foils only, have her highlight with two different tones of blond. Do not use the frosting cap. You’ll want to look your best for the upcoming Spring holidays, yes? With that in mind, make an appointment early before my schedule gets full. And please leave the coloring jobs to a professional! As you can see, home remedies often lead to costly color corrections down the road. Do it right the first time, and you won’t have any problems. Weddings always make Marla Shore shed a tear of joy, and she’s elated to attend her friend Jill’s reception. Marla’s own nuptials are weeks away, and she’s busy following her frenetic to-do list. 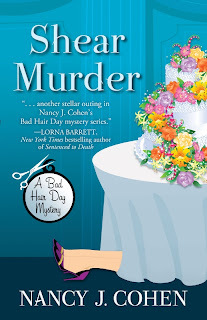 Her plans go awry when she discovers Jill’s matron of honor dead under the cake table, a knife embedded in her chest. Lots of folks aren’t sorry to see Torrie go, especially since the bride’s sister knew their deepest secrets. But when suspicion falls upon Jill, Marla wonders if her dear friend is truly innocent. She’d better untangle the snarl of suspects and iron out the clues before the killer highlights her as the next victim. 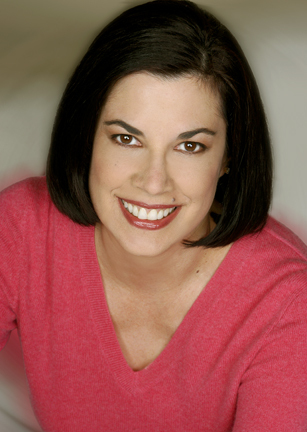 Nancy J. Cohen is an award-winning author who writes romance and mysteries. 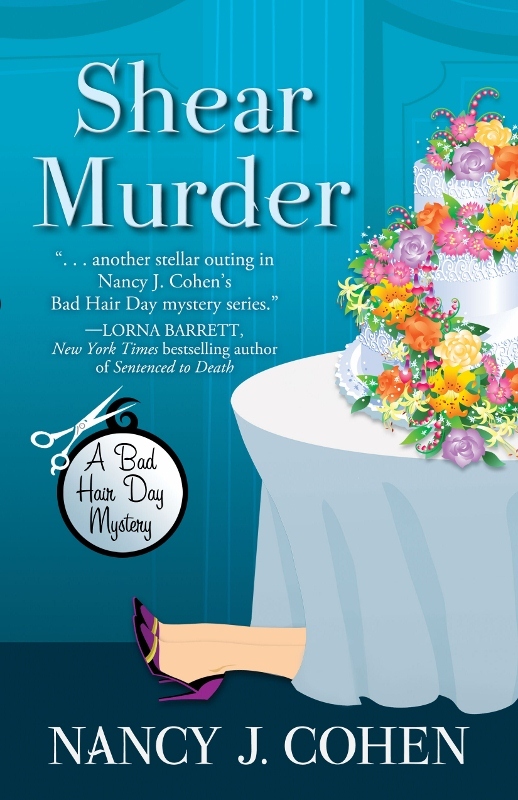 Her popular Bad Hair Day series features hairdresser Marla Shore, who solves crimes with wit and style under the sultry Florida sun. Several titles in this series have made the IMBA bestseller list, while Nancy’s imaginative sci-fi romances have garnered rave reviews. Her latest book, and tenth in her mystery series, is Shear Murder from Five Star. Coming next is Warrior Prince, a Drift Lords novel and book one in a new paranormal romance series, from The Wild Rose Press. Active in the writing community and a featured speaker at libraries and conferences, Nancy is listed in Contemporary Authors, Poets & Writers, and Who’s Who in U.S. Writers, Editors, & Poets. Oooh, great tips! I need to do something with my hair for spring and summer :-) Good luck to you! Terrific tips, Marla! That final one was a good reminder...to bad your shop is so far away! Lizzie, I'm glad you find these tips to be useful. Yes, Dorothy, and it probably costs you more in time and money than if you'd gone to her in the first place. Do you have any openings this week, Marla? I know someone whose hair turned green from chlorine after a perm. After a perm? I suppose that's possible. It's a chemical treatment that affects the hair and maybe made it more porous to chlorine. Marla says, You bet, Maureen. People end up coming to me for expensive color corrections after messing up their home dye jobs. I love the title. The cover is cute too. Were you a beautician in a prior career? life? Nancy was not a beautician but she wishes she had Marla's skills with a curling iron. Dorothy, thanks for having us here!